Carousels are this decade’s <blink> tag. Carousels, also known as ‘sliders’ or ‘slideshows’ on your home page give the appearance of excitement and dynamics. Apparently, however, they accomplish nothing, and anything you put inside them tends to get ignored by your visitors. I am guilty of having built many websites with carousels on the homepage, and for a while I thought they were a good idea, but I still had in the back of my mind somewhere that they were just not a very smart way to present content. Now the evidence is appearing to confirm this. Check this out for a good explanation and some examples. There are some good ones in here. 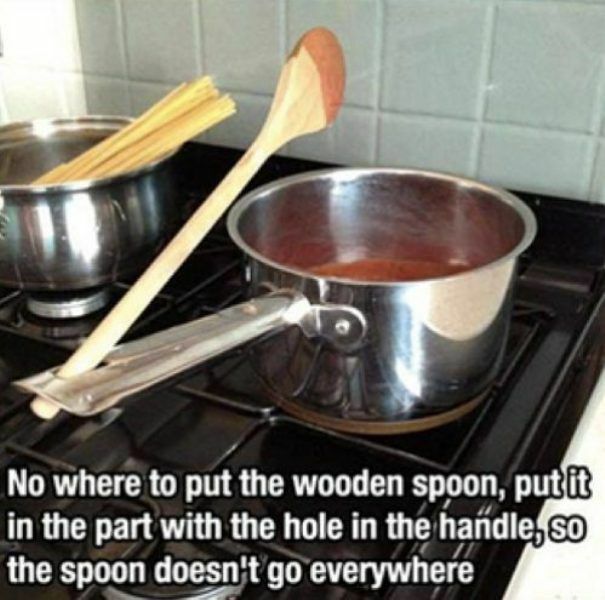 I really liked this wooden spoon in the pot handle trick.